If you've ever read a J.R.R. 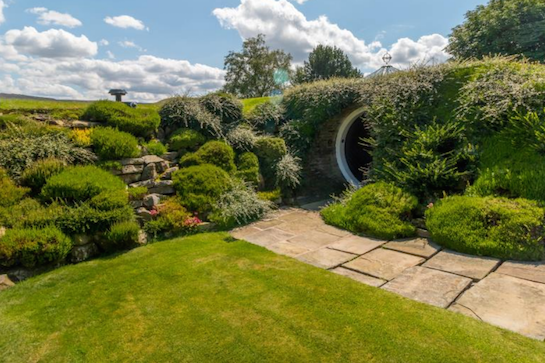 Tolkien book or seen any of the many Hobbit or Lord of the Rings movies, you're probably familiar with the precious little hobbit holes that line the streets of the Shire. Well, those quaint homes from Tolkien's mind inspired this architectural gem in the village of Holme in Huddersfield, England. Photograph courtesy of WM Sykes/Property Photography. The home is called Underhill -- which is fitting, as it's literally built into the side of a hill. 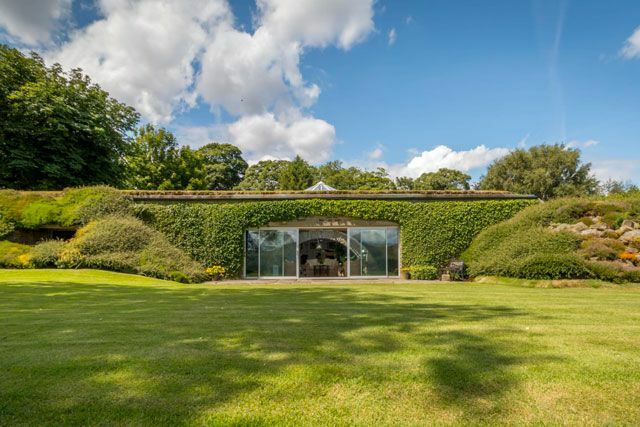 Underhill was designed by well-known architect Arthur Quarmby in 1975 and is an example of an architectural theory called Earth Sheltering. Quarmby and his family lived in Underhill for the last 41 years, but it's now on the market for over $910,000. 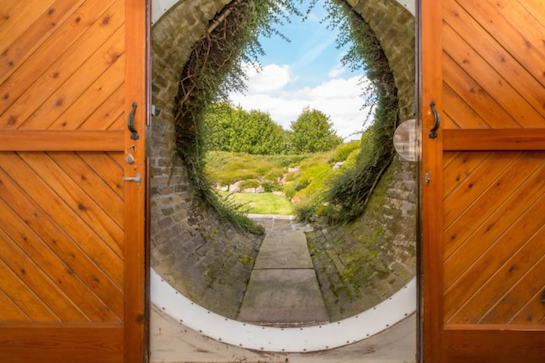 And though it may resemble a hobbit hole on the outside, the 4,000-square-foot home holds unexpected extravagance inside. We weren't kidding when we said that from the outside, Underhill is straight out of a Tolkien novel. These doors lead to a surprising interior. 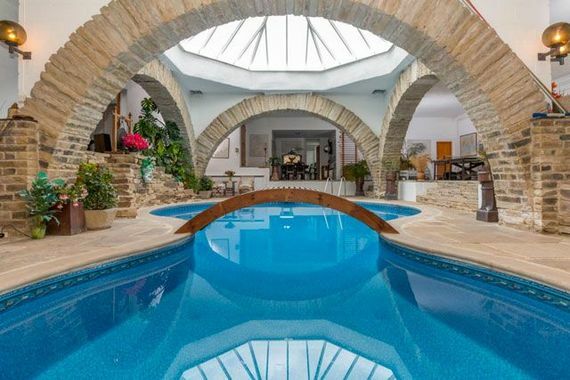 I bet you never expected this extravagant pool inside a hobbit hole. 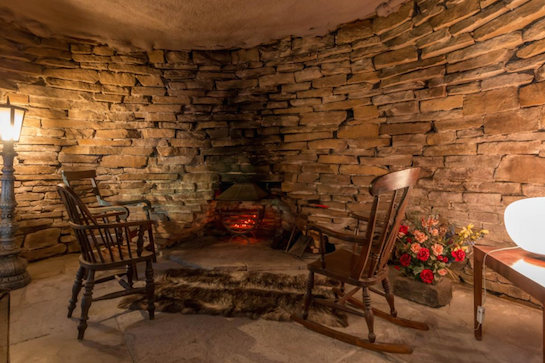 The cave room looks more like a spot where Bilbo or Frodo might hang out. 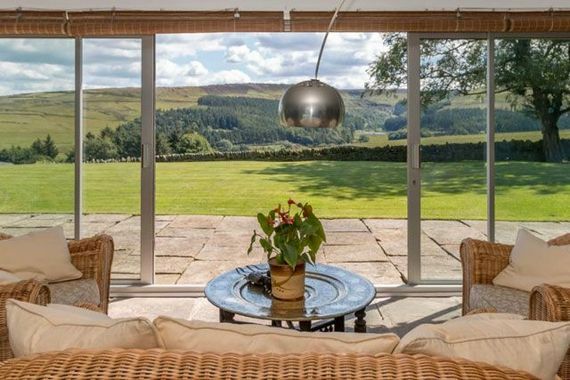 Underhill has a breathtaking view of Pennine Hills (which actually resembles the Shire!). 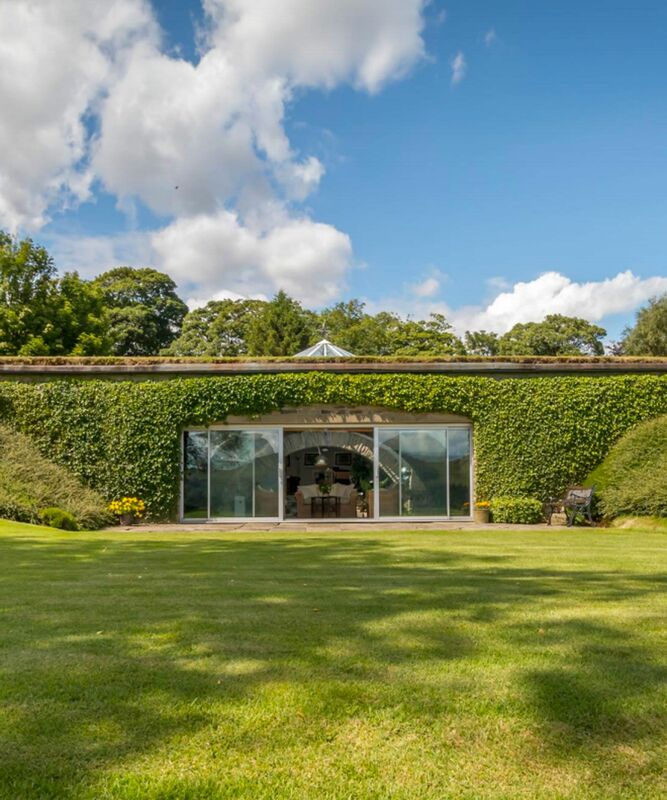 Sitting on nearly an acre of land, the house is surrounded by luscious green foliage on all sides.